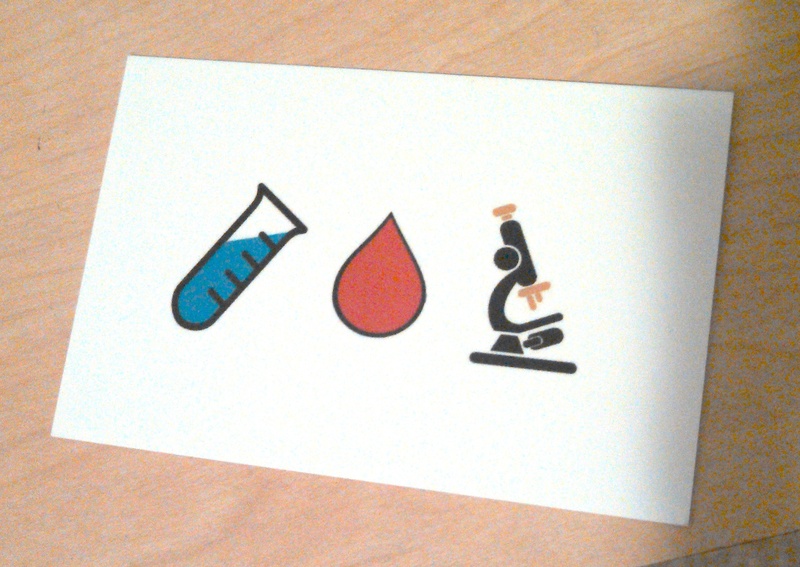 MedLabMaven: Final Business Card Decision! After months of deliberation and discussion (as noted in this post), I was able to decide on a business card for me! 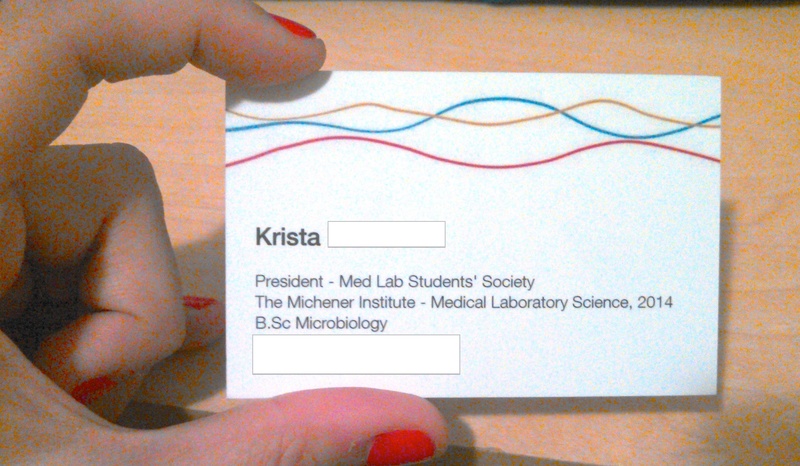 I enlisted the help of my roommate to design and edit some graphics that would work for a scientist's card and have my card be memorable! I love that she colour coordinated the back graphics in red, blue and yellow to match the simple line design on the front of the card. I printed them using MOO.com, which I highly recommend. The quality of paper, design and service is above and beyond what I ever expected. For 50 business card I paid $25 including shipping (I had a 10% off coupon) and I had them within 2 weeks. If you do some digging on the internet you usually can find a 10 - 15% discount to use on your order. Also, if you don't have a designer friend you can use some of Moo's designs which are very modern and simple. I definitely would have had no problem using one of those if I needed to! Let me know what you think of my business card!